GLASTONBURY, Connecticut (WABC) -- There was one present in Connecticut this Christmas Eve that couldn't wait to be delivered. A pregnant woman was being rushed to the hospital to give birth when her brother had to pull over on a rain-slicked highway near Glastonbury...because her baby was impatient and wanted to arrive before Santa. 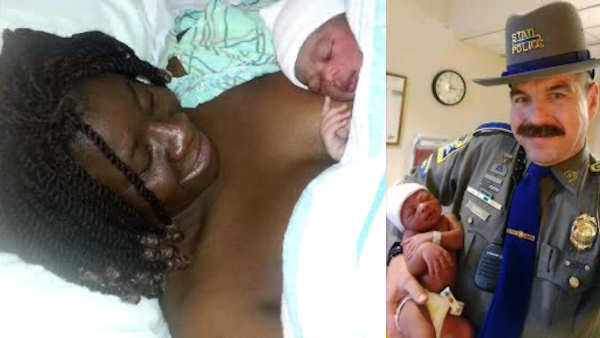 When a state trooper arrived on the scene, baby Ebenezer Okafur was already on his way - days earlier than expected. Capps told ABC News that the child arrived almost immediately, and that mom Itohan Oyabure-Okafur and child are doing well at the local hospital.